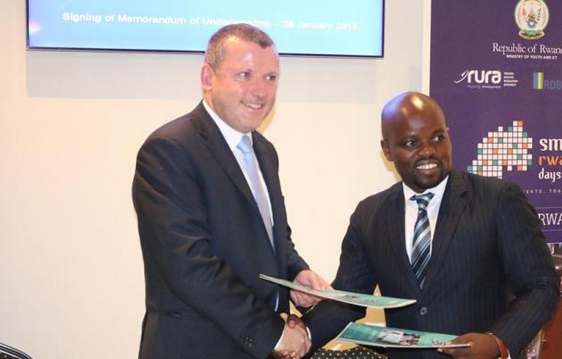 Rwanda’s ministry of Youth and ICT has signed a memorandum of understanding (MoU) with the International Computer Driving Licence (ICDL) programme to advance digital literacy in that country. The ICDL programme enables the proficient use of ICT to empower individuals, organisations and society, through the development, promotion and delivery of quality certification programmes. ICDL certification programmes have been delivered to over 12 million people, in 41 languages, across 148 countries, through a network of over 24,000 test centres. According to a statement the ICDL will facilitate the translation of the equal skills introductory workbook-based programme to Kinyarwanda to address computer skills in the general population. The ministry and ICDL will also collaborate under the initiatives of the Smart Rwanda Master Plan to certify 85,000 employees of central and local government and the general public across East African nation. “This opportunity provides us with a new beginning to raise the standards. There are so many places in the country where IT is taught but so far there has not been a national standard of ICT literacy. It is important that they not only acquire skills but they have accredited certification,” he added. Last year Rwanda’s Youth and ICT ministry said that ICT now contributes more to the country’s economy than agriculture and mining exports combined. ICT contributed 2% to the country’s gross domestic product (GDP) over the last two quarters of 2014, said the ministry. According to research firm BuddeComm, Rwanda’s telecom sector has shown strong growth in recent years. With a population of 11.78 million people, the country’s mobile penetration currently sits at 65% with internet penetration currently at 22%.